Uses for flax vary widely. Great fabric! Also, full of omega-3s means its full of good fats generally attributed to helping maintain good heart health. So, how do you cook with flax? Ground flax may be added to hot or cold cereals, added to mayonnaise or mustard on your sandwich, used as an egg substitute, mixed into a smoothie or yogurt, baked into bread, and more. If you don’t already know, I bake bread all the time. Flaxseed provides a perfect addition to my recipe made with freshly ground flour, too. Another option is to use them in these no-bake cookies. Chef Savvy offers a recipe for Peanut Butter Energy Bites. 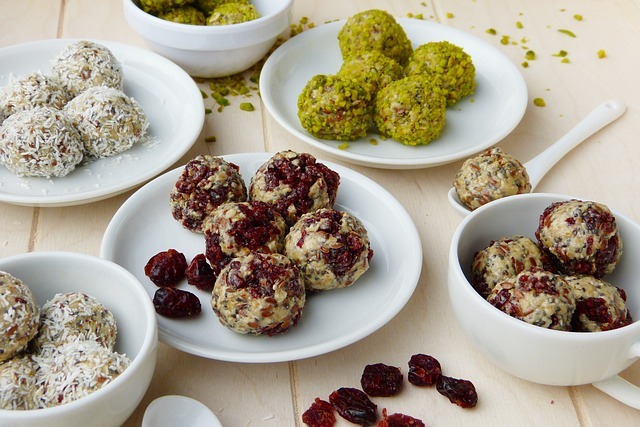 Treat your family to these healthy nibbles. Look around for other no-bake recipes like these and add ground flax seed to those, too. We even grind it up with whole coffee beans for our morning cup of Joe.